Today one year ago I started my Etsy shop Pretty Crafty Stuff. Since then I started the Facebook page (that you really should check out if you haven't) and I've got an amazing DT that posts equally amazing projects once a week there. I've also seen some of my designs turned into stamps thanks to the great people at WOW Embossing powders. I really couldn't imagine all that when I was starting out making a few cut files a year ago. I hope I can continue making files, even if it is mostly for fun PCS is my baby and I'm really enjoying the creative outlet that it is. 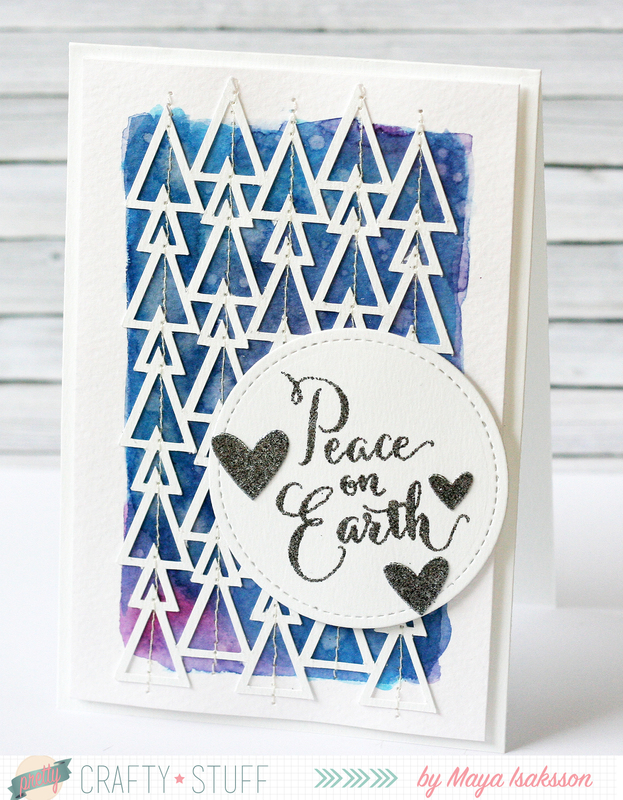 This card was made using one of the files on top of a watercolored background. You can't tell by the photo but the cutout is covered in clear Spectrum Noir Sparkle pen so it's shimmery and pretty.